But what does that really mean? And how do you do it? The premise is when you work or invest in something with a high barrier to entry, or that few strong players know about, you face less competition and can therefore enjoy better profits. The challenge is finding and mastering the niche. And common sense says a profitable niche doesn’t stay secret for long. So when you find one, it’s wise tomove quickly and capitalize ahead of the crowd. Of course, all that sounds good on the chalkboard. But how do you make it work in the real world? For the unfamiliar, MOB stands for Medical Office Building. Obviously, MOB is a niche, and sovereign funds and private equity are BIG players … with big research budgets and smart analysts. So watching what big players are doing is one way to identify a hot niche. Then you look for a niche within a niche where Main Street investors can play. That “aging population” they’re referring to are the baby-boomers. This huge demographic wave is sometimes called “the silver tsunami” because of its economic size and impact. It’s something we’ve been following closely … including which industries and geographies stand to benefit. But if the big boys are already in the space, is it too late? Or is there still opportunity for Main Street investors? First, it’s not MOBs that big money is excited about. It’s the demographic and industry that the properties support. It’s about elderly people and healthcare. The properties are actually a problem because they’re specialty use. A medical building is typically only suited to medical uses. That can be risky. So, even though medical buildings appear strong for the long haul, it’s still a one-trick pony. If the sector cools, you’re trapped in a property that’s not of much use for anything else. Yikes. Next, the tenants of MOBs are healthcare providers whose income is largely derived from insurance and government reimbursements, which are facing downward pricing pressure. Savvy landlords always look past the tenant to the tenant’s ultimate source of income. In this case, “commodity” healthcare providers are getting squeezed by stingy insurance companies and social services. Not good. It seems those providers being squeezed are moving towards sub-niches where there’s more profit. … is to focus on boutique services for affluent clients who pay by cash or through private insurance. How can Main Street real estate investors play? Since we’ve already identified the demographic (boomers) and economic sector (healthcare), let’s focus on the property. After all, we’re real estate guys. We’re looking for a property well-suited to a boutique healthcare for an affluent, self-paying, or privately insured sub-demographic. Of course, Main Street real estate investors aren’t healthcare professionals. So we either need to find tenants who are, or find a simple healthcare service we can deliver through readily out-sourced operators. And we’ll need to pick a property type that works well for the healthcare service … but also other things, so we don’t get trapped in a single-purpose property. Or maybe the answer is right in front of you … or next door … or down the street. But not just ANY single-family homes … residential assisted living homes. First, your tenants are the parents of boomers (today) … and will soon be the boomers themselves. That’s a substantial long-term pipeline of tenants. Plus, boomers are the most affluent demographic right now … and paying for Mom or Dad’s care is a TOP budgetary priority. It’s always good to be at the front of the line for getting paid. Also, care fees (rent) are often paid out of a combination of the parents’ estate, private long-term care insurance policies, or incomes and assets of the adult children. So when you’re in what our residential assisted living guru Gene Guarino calls “the sweet spot” … you’re not dependent on government reimbursements. Residential assisted living homes are boutique, high-quality, “alternative setting” healthcare … which, as the article points out, is the trend. Another investing adage is, “The trend is your friend“. Next, residential assisted living homes are NOT big, single-purpose commercial buildings well-suited only for use as a medical facility. Residential assisted living homes are operated in single-family houses located in regular residential neighborhoods. No special zoning. No commercial location. So if for some reason the bottom falls out of the sector … the home can be rented to a residential occupant (albeit at a much lesser rent), or simply sold on the open market to an owner-occupant. In other words, you’ve got multiple exit strategies. You aren’t trapped by your niche. This mitigates one of the major risks the big boys fear. But perhaps one of the greatest advantages in the sub-niche of residential assisted living homes is the ability to QUICKLY right-size to changing market conditions. Big-box commercial properties are all-or-nothing propositions. That’s another worry for the big guys. When you have a 120-bed medical facility and profits get squeezed or things slow down, you still have 120-bed facility … and all the fixed costs which come along with it. There’s no throttling capacity up or down based on demand. But when you own ten 12-bed homes and things pick up a little … you simply add one more home to your collection and increase capacity to 132 beds. Compared to a big-box, the properties are easy to find, set up, and get optimized. You can catch an “up” wave sooner and ride longer. Even better, if things slow down, you simply consolidate your residents into fewer homes … and sell or rent out the excess properties individually. Again, there a multiple exit-strategies, and when it comes to real estate, single-family homes are arguably the most liquid. A big-box? Not so much. This is HUGE in terms of maintaining profit margins … even in a declining market. A big-box can’t cut facility overhead. They either own the whole property or they don’t. It’s all or nothing. So the only way preserve margins when occupancy is down is to cut back on staffing, care, and amenities. Not good for the resident under care, nor the staff or brand. While the big-box cuts services, the more nimble RAL operator can right-size and maintain or even improve services … and attract an unfair share of residents in a competitive market. Big check. And who doesn’t like big checks? … there are still great lessons to glean about strategic sub-niche investing to find profits under the radar (at least temporarily) of the big players. … which might be about to create a SEA CHANGE for investors all over the world … including YOU. There’s SO much to say here, it’s hard to know where to start. We’ll hit some highlights … and refer you back to some of our previous coverage of this VERY important topic. If you denominate your net worth, assets, debt, or income in U.S. dollars, then you should care VERY MUCH about the future and health of the dollar. Ditto if you utilize debt or care about the impact of interest rates (and you should) … on your mortgages, the stock and bond markets, as well as the overall economy. And if you’re an American or invest solely in the U.S., the health of the U.S. dollar and economy should be of even GREATER interest to you. So yes, what China is doing with gold and oil matters a LOT to real estate investors … especially in the United States. First, this recent move by China is the latest in a long series of moves they’ve been making to undermine the role of the U.S. dollar as the world’s reserve currency. This is something we’ve been tracking since 2009, when we first read about China’s concerns about U.S. debt and interest rate policy. We continued to track China’s actions and made this the focus of our remarks in our 2013 presentation at the New Orleans Investment Conference. Shortly thereafter, we expanded on the situation in our special report on Real Asset Investing. We’ve also talked about it on our radio show and in our blog. So if you’re new to this whole subject, we recommend you go back and review those reports, broadcasts and blogs. For now, just understand China has been overtly, aggressively and systematically working to undermine the U.S. dollar’s uniquely powerful role in global finance. This latest move is a HUGE next step in unseating the dollar’s dominance. If you’re unfamiliar with U.S. dollar history, schedule some time to study it. It’s too big a topic to unpack here. For now, we’ll simply point out that the U.S. dollar was originally backed by gold from its inception and when it ascended into its role as the world’s reserve currency at Bretton Woods in 1944. The gold backing was broken in August 1971 when then-U.S. president Richard Nixon defaulted on Bretton Woods. Gold soared and the dollar crashed. The U.S. quickly cut a deal with Saudi Arabia … where the Saudis would use their influence to force oil shipments to be settled in U.S. dollars. … and protecting the petro-dollar has been a focus of U.S. foreign and trade policy ever since. To further bolster the dollar, then-Fed chair Paul Volcker jacked-up interest rates to over 20%, which had a profound impact on the U.S. economy … and real estate. All this to say … gold, oil, the dollar, and interest rates all impact each other … and have been VERY important to maintaining U.S. dominance around the world. So it’s no surprise other countries looking to increase their influence in the world are interested in all those things … and you probably should be as well. …which do YOU think they’ll choose? And how influential will U.S. sanctions be (i.e., getting locked out of the U.S. dollar and banking system) when countries can do business without the dollar? How important will GOLD become as more and more international trade settles in gold-backed yuan instead of nothing-backed dollars? How unimportant will dollars become? Where will the bid move? Is THIS why gold has been moving up lately? Is this why the dollar has been falling? Why did U.S. Treasury Secretary Mnuchin pay “a rare official visit” to Fort Knox and subsequently tweet, “Glad gold is safe!”? All of the sudden gold is interesting to the Treasury? Meanwhile, Germany recently completed a repatriation of a big chunk of their gold … ahead of schedule. Maybe the rush is to pacify voters in the upcoming election … or maybe there’s another reason? … several countries joined Germany in taking steps to repatriate their gold from foreign hands. That feels a lot like a “run” on the bank … and it began long before any of the current elections. Besides, if gold is really just a barbarous relic with no role in modern finance as some claim … then why all the fuss? As you can see, this all raises a LOT of questions. First, simply understand the fate of the dollar has a PROFOUND impact on anyone who earns, saves, invests or borrows in dollars. If that’s you, then this is an IMPORTANT topic for YOU to pay attention to. Next, be encouraged there are investment strategies which you can use to mitigate risk and generate profits … even in the face of a falling dollar. We discuss some of these in our special report on Real Asset Investing. Get and stay connected and informed. That’s why we attend the New Orleans Investment Conference and produce the Investor Summit at Sea. Right now, it’s more important than EVER to attend events like these. … and form valuable relationships with people who can help you implement useful strategies. The WORST thing you can do is ignore it all and hope nothing’s going to change. The world is changing whether you know it, like it, or understand it. How you choose to respond will determine how it changes for you. Ready to invest in real estate, but don’t have the capital? Acquiring capital is an oft-looked part of building your real estate portfolio. But don’t fret … where there’s a will, there’s a way. Over and over, we see creative solutions for investors’ need for capital. The latest expert guest on our latest show offers new capital ideas WE hadn’t even heard of yet. We always like sharing interesting new ideas, especially those that give real estate investors a competitive advantage. So listen in, and hear how Joe Nielsen at Clear Capital Group, Inc., can help you turn your real estate investments into a REAL business. Joe Nielsen, a long-time listener of our show (thanks, Joe! ), was growing his own real estate portfolio and needed capital. In fact, if you’re looking for capital from banks and credit unions, stats are stacked against you. Less than 10% of businesses that seek funding actually get it. So Joe created a new capital solution. He founded Clear Capital Group, Inc., a specialty commercial finance firm, to help the 90% who are rejected by banks. Before we dig into details on how Joe at Clear Capital Group can help you, let’s talk about why debt is a GOOD thing in real estate. Bad debt –High-interest rate credit purchases on consumer goods that offer little to no return in value. You PAY to have this kind of debt, sometimes twice as much as the item’s original cost. Good debt –Provides you a long-term return through an investment. This kind of debt PAYS YOU to own it. In real estate, debt is a critical tool. In fact, the GOAL is to accumulate debt. Our friend and mega-bestselling author, Robert Kiyosaki, says the right debt is a very good thing because of leverage and tax benefits. So with that primer, a lot of people don’t pay enough attention to managing their debt. They focus more on the monthly grind of covering utilities, property management, and maintenance. Banks know this, so traditional lenders often require you have “debt-coverage ratio,” meaning you have enough cash flow coming in, they feel confident you won’t default. When you get a loan on property, be prudent about it. Do your homework. Make sure you understand your credit, cash, and income sources. Now you’re dealing with the financing needs of business. Growing your business means investing in more properties, so you save up a down payment and do it again. Once you have several loans under your belt, it gets harder to get more. That’s where Joe and Clear Capital Group can help. Clear Capital Group helps real estate investors across the United States get access to capital. Clear Capital Group can take those properties off of an investor’s private portfolio, so their debt-to-income ratio is viewed more favorably. “You can have as many transactions as you want with healthy debt,” says Joe. Another option is “wrapping them up” and getting a blanket loan. “This makes it more flexible and clears up the mess of being ‘Fannie and Freddied out’ that happens to a lot of investors,” Joe says. Underwriting with Clear Capital Group is similar to a multi-family apartment building, and they do have some restrictions. For example, your properties need to be similar product types in near proximity to each other. They will view your portfolio as a solid mass, and hope to see at least an 80% occupancy rate. Their fees and terms are for a 20-30 year amortization, and although their rates are higher than bank financing, they are fixed for 7-10 years. Joe says it’s a mistake to find a property before you’ve found your financing. This reminds us of our secret to finding a great deal: your Personal Investing Philosophy. We also say there’s a “Personal Funding Philosophy” – meaning you need to determine the amount of risk you’re willing to take. Identify the options available to you. Help you achieve it by connecting you to the right lender. We’re personally very excited about the tools available, some of which we didn’t know about. You can learn more in Joe’s report, “Tools for Funding Your Real Estate Investing Business,” which you can get by emailing tools@realestateguysradio.com. Remember, a consumer thinks about saving, where an investor thinks about profit. When you’ve got access to capital, you differentiate yourself. You’re not competing with every mom and pop investor out there. 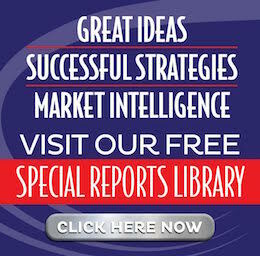 Give yourself a competitive edge in the marketplace with Joe’s report, and ‘til next week … go make some equity happen!